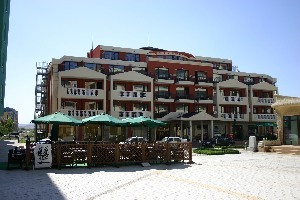 LOCATION: 50m from the beach HOTEL CAPACITY: Rodopi hotel: 280 double room, 30 studios, Zvete hotel: 216 double rooms, 50 apartments and 12 studios; Flora hotel: 180 double room and 30 studios. 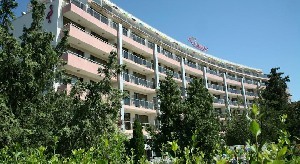 Guests are using the infrastructure of all the complex. 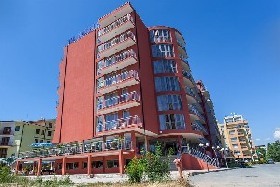 LOCATED: Distance to the beach 300 m, Year of construction 2009 , Year of last reconstruction 2013 HOTEL SERVICES: Number of storeys 5 , Elevator , Outdoor swimming pool , Wi-Fi (€), Сredit cards , Currency exchange, Parking (€), Fitness. 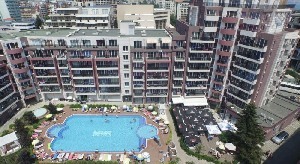 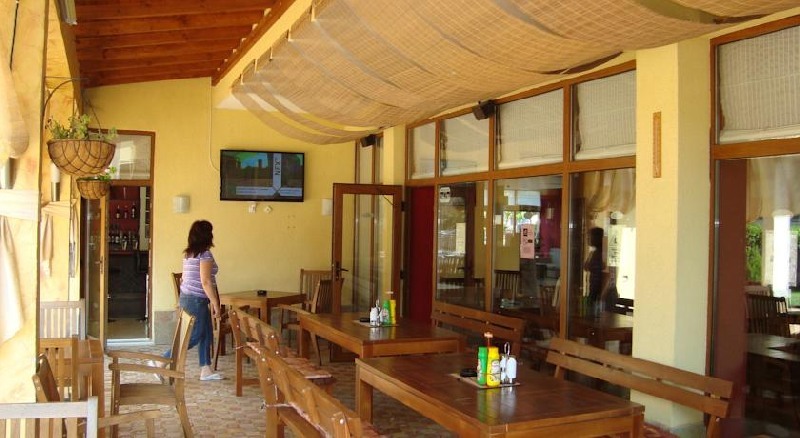 LOCATION: 300 m from the center of the city, 50 meters away from the beach. 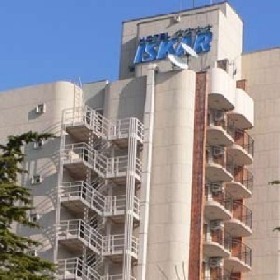 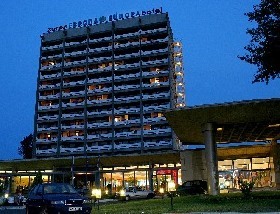 HOTEL CAPACITY: 4 floors, 110 rooms, 3 family rooms. 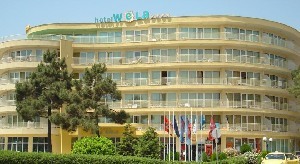 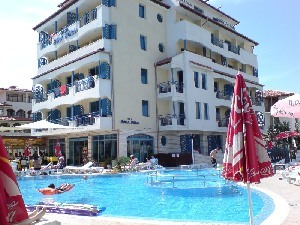 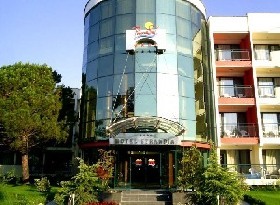 HOTEL FACILITIES: room service, rent-a-car, restaurant, internet café, currency exchange and parking, safe. 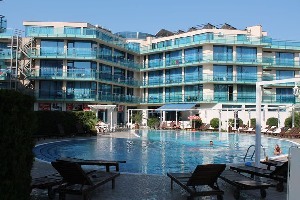 Sunny Beach is a resort situated on south part of Bulgarian Black Sea Coast, 30 km from Burgas , 100 km from Varna, the Sea capital of Bulgaria ,and 3 km. 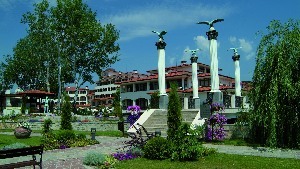 from Nessebar. 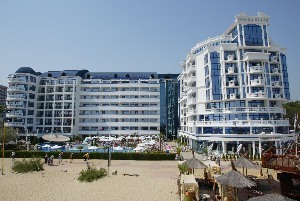 The beach promenade is long 8 km. 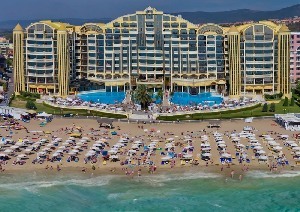 and wide up to 60 m. It is covered with fine golden sands and natural sands dunes. 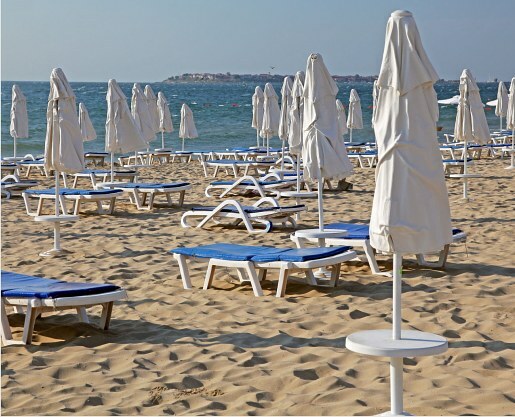 Average summer temperatures range of the water 20-26 degrees Celsius and salinity is much lower than in Mediterranean Sea. 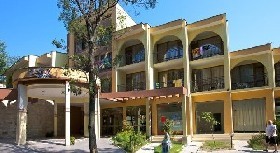 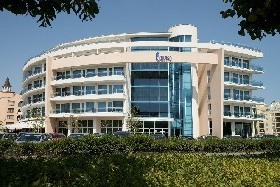 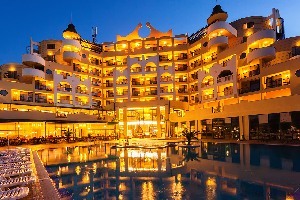 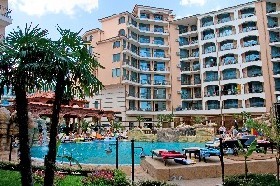 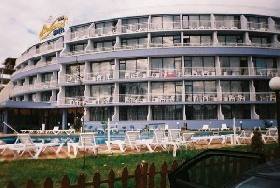 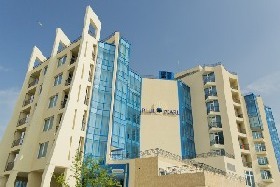 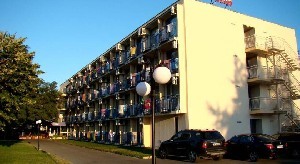 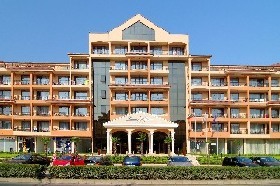 The resort has one of most modern and luxury hotels. 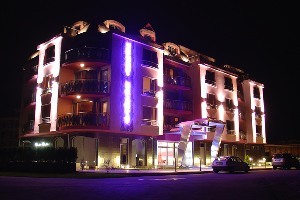 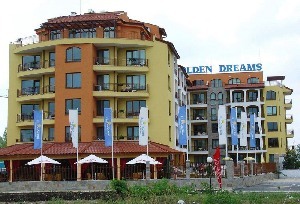 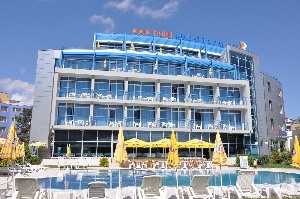 The fancy restaurants , tavern with folklore programs, day and night clubs, bars, casinos, disco clubs makes Sunny Beach one of the most attractive places for night life. 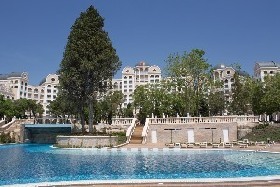 For sport lovers the resort offers a lot of challenges. 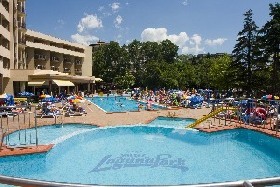 For kids there are a lot of playgrounds, entertainment parks , pools and gardens. 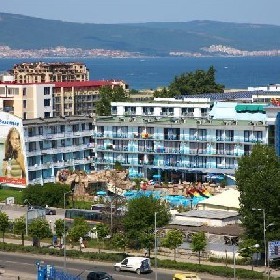 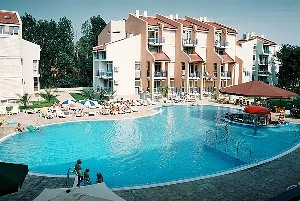 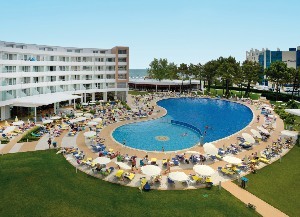 Sunny Beach is the place, where everyone has a chance for exciting holiday, combinate with sun and beach.